Paul Drinkhall and Liam Pitchford will head into a qualification event for the Olympic Games as national champions. The pair won the men's doubles for the fourth successive year at the English National Table Tennis Championships. Drinkhall beat Sam Walker to also win the men's title, with 17-year-old Tin-Tin Ho taking the women's crown. 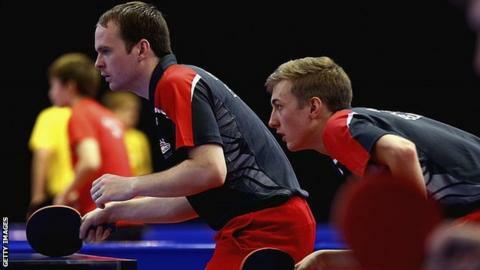 Drinkhall and Pitchford will now travel to Istanbul in April to compete in the European qualifying tournament for Rio.